The Doulton W9381000 Rios unique 6 element filter module is designed to be fitted to the main water supply or cold water pipe underneath the kitchen counter to supply large volumes of healthy, clean water. Doulton's unique 6 element filter module W9381000 fits most industry standard 10-inch Big Blue type housings. 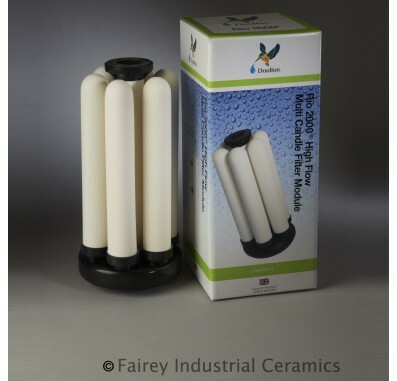 This gives you the option of upgrading installed filter housings with a Doulton ceramic filter module. The Doulton W9381000 Rio 2000 Whole House Filtration System features Eco-friendly technology--No power required and low running costs. Filter cartridges are cleanable and reusable. 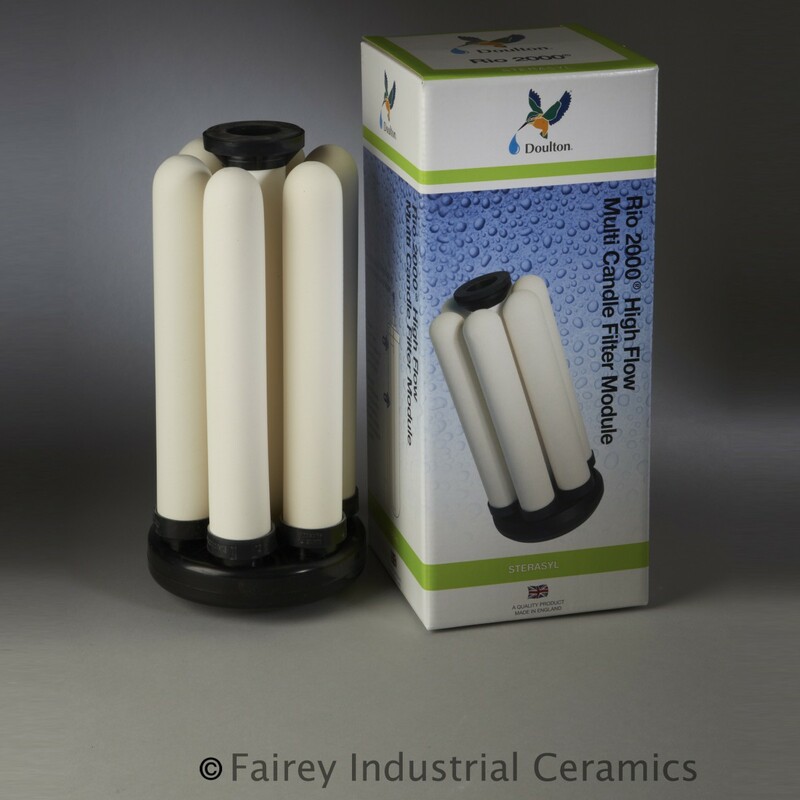 Doulton Sterasyl is a highly efficient ceramic micro filter which provides genuine submicron filtration of drinking water. The incorporation of silver locked within the ceramic structure inhibits the growth of bacteria and gives each cartridge enhanced bacteriostatic and self-sterilizing properties. The Doulton RIO 2000 meets ISO Conditions For International Drinking Water Requirements. We recommend using a sediment Prefilter along with the Rio 2000 for well water applications. 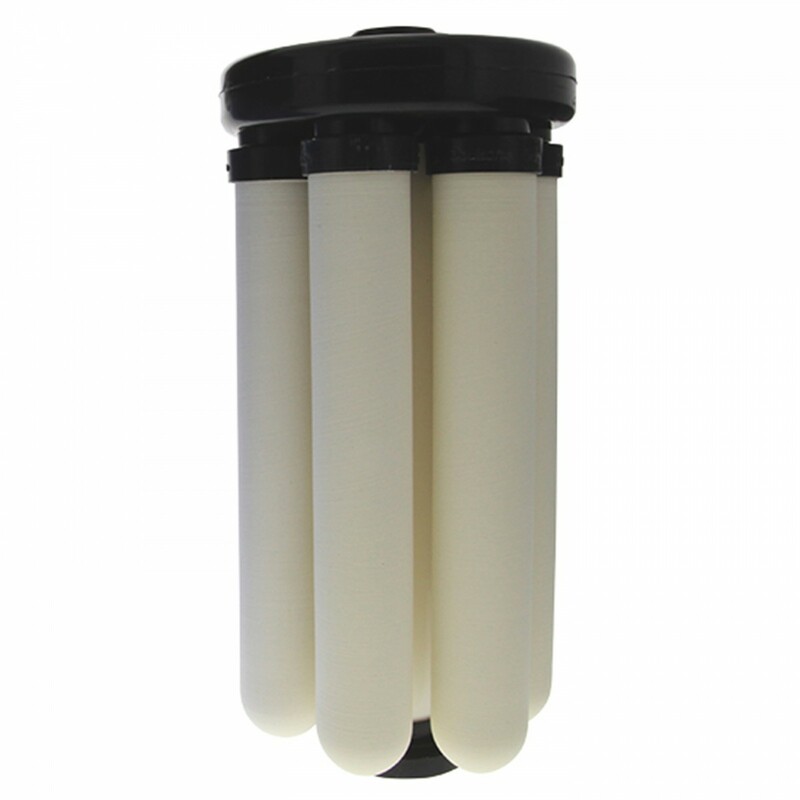 Using a sediment Prefilter will extend the life of the Doulton W3981000 Multi Candle Water Filter System. The Rio 2000 Multi Candle Filter Module requires 6 Sterasyl Candles, 32mm (1.2ï¿½) x 200mm (8ï¿½) long. The Doulton W9381000 module is designed to fit most industry standard 10ï¿½ housings.